Metabolism is the Japanese movement in architecture and urbanism, famously described by Rem Koolhaas as the « first non-Western avant garde in architecture ». A set of brilliant architects in the 1950s and 60s, following their modernist master Kenzo Tange — Japan’s « own » Le Corbusier — developed a vision of contemporary Japanese urban development as the future of urbanism worldwide; an alternate « Asian modernity » that could compete on equal terms with the dominant global visions of Europeans and Americans. 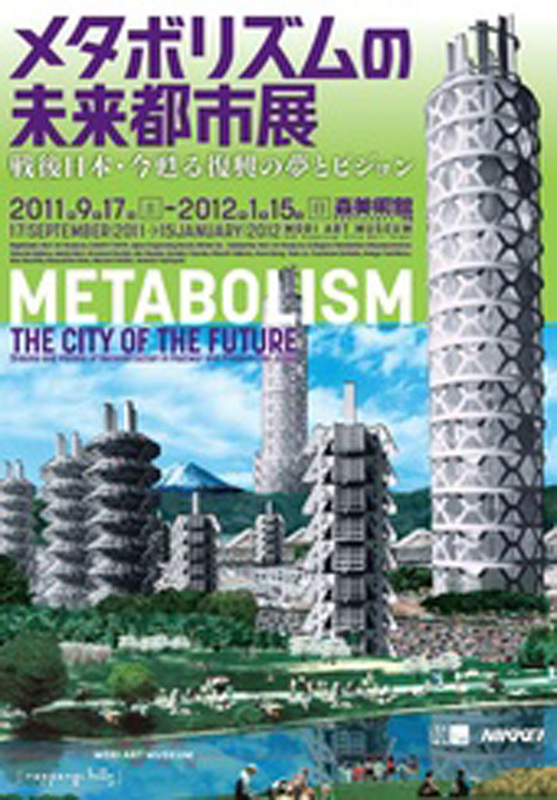 Metabolism had its final triumphant expression at the 1970 Osaka Expo, but its visibility dissipated in the years following the 1973 economic crisis. Nearly forty years later, amidst the next global economic downturn, there has been an intense revival of interest, centred on various exhibitions and book publications. Notably, Rem Koolhaas and Hans-Ulrich Obrist’s book of interviews with the surviving members, Project Japan, makes a case for how Metabolism’s influence has decisively shaped urbanism in emerging Asian cities decades later. The seminar will provide an introduction to the significance of Metabolism and its utopian visions of a « city of the future ». But rather than celebrating the nostalgia of a past when Japanese urbanism was seen as the future of the city, we will ask how the spirit and elements of Metabolism might be better seen in terms of a new alternate « anti-urbanism ». This draws utopian inspiration from Japan’s remarkable condition today as the forerunner of urban and regional shrinkage, negative or flatlining economic and social development, and (arguably) the emergence of a new post-growth, « post-Bubble » form of late-modern society. Marta Rodríguez Fernández is an architect, visiting scholar in Japanese Studies, UC Berkeley, PhD candidate at the Polytechnic University of Madrid, and a visiting fellow at CEE, Sciences Po. A former employee of OMA (Office for Metropolitan Architecture/Rem Koolhaas, Rotterdam), she is a specialist on transnational connections between Japan and the West in the 1920s and 1980s, notably the small scale work of Charlotte Perriand and Kazuyo Sejima. Nathalie Roseau (LATTS) is an architect and a planner, and the Director of the master in Urban Planning at ENPC. Her research deals with the interaction between cities and technical innovation and with metropolitan governance. Lara Belkind (Harvard University) is an architect and urban planner and a Lecturer at Columbia University GSAPP in Paris. Her work examines emerging urban constellations facilitated by high speed networks – focusing on infrastructure as a site of conflict and negotiation in the Paris region.